Product code: NS277 Categories: Modern & Retro Jewellery, Modern Earrings. Perfect for day or night, these 18ct white gold diamond huggie earrings are just the perfect size and so comfortable to wear all the time. Huggie earrings allow the earrings to sit so elegantly and close to the ear lobe and the design even allows them to be worn backwards to show just the white gold side. The diamonds are micro-pave set which is an advancement to standard pave setting in which the diamonds are set into the gold so finely and feel so smooth to run your finger over. In each earring are a total of fifty round brilliant cut diamonds which are H in colour and Vs to SI in clarity and have a magnificent sparkle to them all. The diamonds total 1.00 carat in weight and the earrings measure 6.9mm wide. 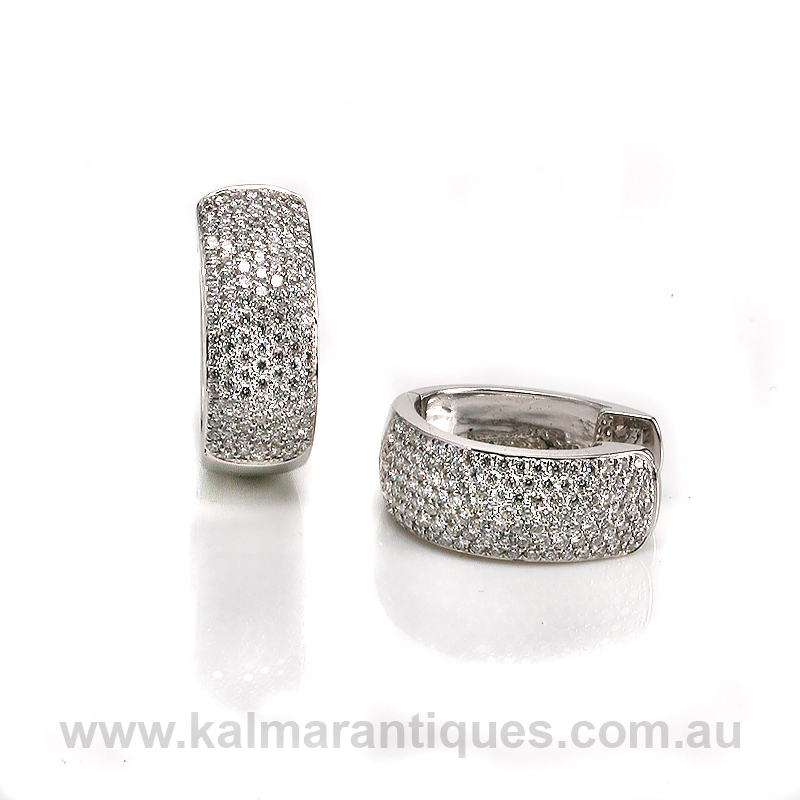 So elegant and stylish, these diamond huggie earrings will always get the attention that they rightly deserve.